Combi-Nation is a dedicated team that offers boiler servicing as well as a range of related products and services. The company boasts a fully qualified and experienced team that are available to perform boiler services in a professional manner so that clients can be sure they receive nothing but the best. If you require boiler servicing Southampton, make sure you contact Combi-Nation to discuss your needs. 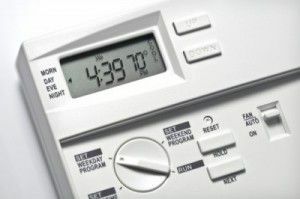 In order to make sure that your boiler is functioning, it is essential to make sure that it is serviced regularly to make sure that it is in full working condition. Deposits tend to build up in the boiler during use, which can reduce efficiency and eventually cause the boiler to malfunction if not kept in check. Fortunately, this can easily be prevented with boiler servicing. For the best results, it is essential to make sure that boiler servicing is carried out once a year, although this may need to be done a little more often if your boiler is old. You can rest assured that a qualified engineer from our Combi-Nation team will take care of all the details for you regarding boiler servicing Southampton. Firstly, the engineer will thoroughly clean and inspect your boiler as well as all of its parts removing any deposits that are discovered. The engineer will then perform a detailed inspection for small leaks that could cause boiler corrosion. The flue gases will be carefully inspected and checked for dangerous gases such as carbon monoxide. Finally, the engineer will carry out tests on the gas metre to make sure that the pressure is suitable. In addition to offering boiler servicing Southampton, Combi-Nation also offers a selection of top of the range new boilers to choose from. Combination boilers have become extremely popular in recent years as they are known for being very reliable. This type of boiler typically features a compact design so that it can be easily installed in a cupboard, while a cupboard can be built around the boiler if one is not already available. Combination boilers are economical to run and provide an instantaneous and virtually endless supply of hot water. A storage cylinder does not need to be heated first or allowed to run cold, while an expansion tank and cold water storage can be done away with altogether. When kept in check with our boiler servicing Southampton, your combination boiler will provide you with years of reliable use. Home owners that wish to reduce fuel bills and save on energy should check out one of the condensing boilers that are available from Combi-Nation. Although the initial costs of condensing boilers ends to be higher than regular boilers, in the long run they can save up to a third on the cost of fuel consumption. Because condensing boilers are so efficient, boiler servicing in Southampton should be smooth and simple. However, it should be noted that the position that both the boiler itself and the flue are installed in is critical to ensure that there is no leakage and energy efficiency is minimised and this should only be done by a professional. Combi-Nation is a prominent Southampton-based company specialising in plumbing and heating services. While the products that we offer such as boilers and bathroom fittings are top of the range, we pride ourselves on offering competitively low prices combined with excellent service that has earned us a large number of loyal customers over the years. Each of the engineers in our team is fully trained and extremely knowledgeable. We are experienced in understanding what are customers want as well as what they need for their Southampton boiler servicing. You can contact a member of the Combi-Nation team directly by calling 02380 775666 or sending an email to info@combi-nationheating.co.uk. Make sure that you contact us today to get a free quote on Southampton boiler servicing and find out more about the benefits.